Happy Sunday, friends! So much going on. My head is a'whirl with goodness right now for all the things ahead this week. First off, Halloween was a great success. Greyson had a fantabulous time as Raphael the Ninja Turtle. The highlight of the night was when he was doing the peepee dance on a stranger's porch, and his dad asked if he could come in to use their bathroom. Chuck is big and scary, so when the people said yes, he threw me under the bus and volunteered me to enter the strangers' home for the bathroom going. Everyone made a memory. David and I went bed shopping yesterday and picked out a fantastic king size, Beautyrest, dream bed. It's being delivered within the next three hours, so we've spent the morning switching all the beds in the house around. Greyson's full size will go back to my mom's house from whence it came. Our old queen size will go to Greyson, and the new one, obviously, will go in our room. So many dust bunnies to vacuum. We also spent part of the weekend cleaning and making the house presentable because AMANDA IS COMING!!!! 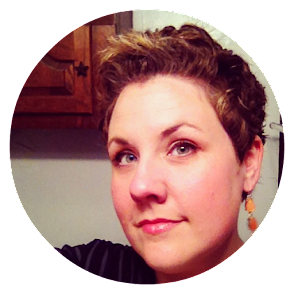 Fig and Thistle herself will be in Dallas this week for a conference. She's staying at my house (bless her), but we'll be spending a bunch of time in Big D with Amanda from The Zen Leaf and meeting up with Trish from Love, Laughter, and a Touch of Insanity. So much goodness! If we just had Heather here, life would be perfect. 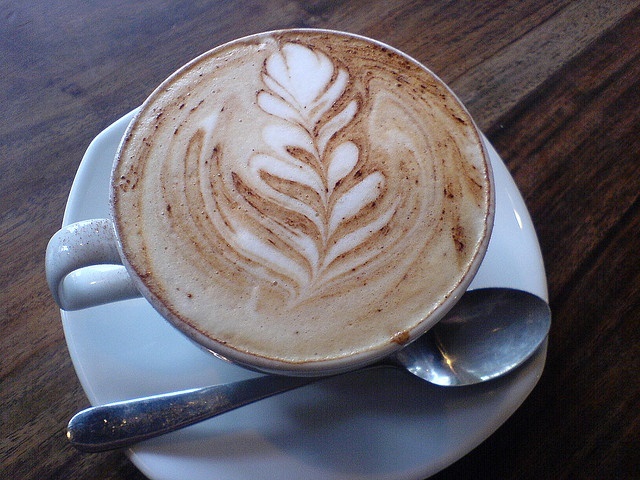 There will be books and coffee. Watch Instagram for updates. While Amanda is conferencing during the days I'm going to haunt coffee shops, bookstores, and the Richardson Public Library. I intend to get ahead in my online class planning, and I might have a phone interview scheduled. You heard it here! Wish me luck. Finally, so many book things are starting. Of course we're doing #PotterBinge at the Estella Society. I intend to finish Harry Potter and the Sorcerer's Stone this week, and I may go ahead and get a start on Chamber of Secrets. Thanks to Kim, Becca, Lu, and Katie for hosting this one again! Happy Sunday! What are you up to? I am so very excited about this week!!! Apparently I really wish I was going to be there too. I dreamed about visiting you last night!! Sounds like a great week ahead!! Picking out a new mattress is so tough but getting a new one is so fun! I've only met bloggers in real life once and it was very cool. They weren't book bloggers, but humor bloggers so it was HILARIOUS! Um, not that it wouldn't be hilarious to meet book bloggers, but.. ;) Hope you all have fun together. Wow, sounds like you have a fabulous week coming up! Definitely post updates! I hope you all have lots of fun. 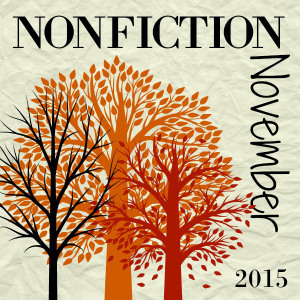 And yay for November - so much bookish goodness this week! We read Mennonite in a Little Black Dress for book club and most of us felt it wasn't worth our time. I'll be curious to see what you think of it. Did you get flooded? We were OK here north of Austin, but my word, the Austin airport almost floated away. Sounds like an exciting week ahead! I started reading the Harry Potter series in September, but am not making quite the progress I had hoped. I plan to finish Prisoner of Azkaban tonight and then dig into Goblet of Fire. I signed up for Potter Binge hoping accountability will inspire me to read a bit faster. I can't wait to see all the pictures of your blogger meetup, you're going to have such a great time! Oh oh OH! You need to read This is the Story of a Happy Marriage by Ann Patchett. Such a good read ... at least get it in there!) Have a great November, Andi. This Is the Story of a Happy Marriage is soooo good! Another nonfiction book I just finished and highly recommend is Daniel James Brown's The Indifferent Stars Above: The Harrowing Saga of the Donner Party. Such an incredible story, and the writing is spectacular. 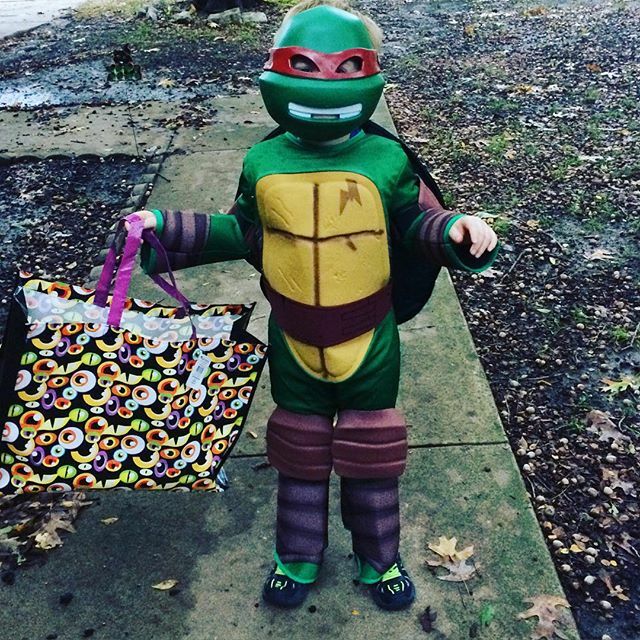 First of all, Greyson is the cutest, especially as a ninja turtle. Second - AHHH I'm so jealous you get to hang out with so many amazing bloggers! Give everyone a hug from me!!!! Have fun at your meet-up! I do hope to someday meet you and Trish while I'm in Texas visiting my daughter. I can't believe it hasn't happened yet! Excellent costume! And yes, wow, to you all meeting up later in the week. Sounds like a lot of fun. Sunday was a rest day for me, much needed. Weekends are going too quickly at the moment. 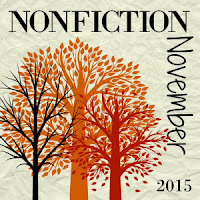 I've somehow missed knowing about Nonfiction November, may have to join or at least try to follow it. YAY! So much goodness in your future. I have never wanted to visit Dallas until right now. Have fun! Your blogger meet-up sounds like a blast! I'm interested in This is the Story of a Marriage...hope you enjoy it! Aw! Your fancy new bed! How awesome! I got a fancy new bed last year that GOES UP AND DOWN, which causes book nerds to say "Oh, so you can read in bed comfortably!" and all other humans to say "Oh, like in a hospital?" But it gives me a great deal of joy. I can read in bed comfortably. If it ever gets cold down here, and I can snuggle up with many blankets, it will be the truly perfect situation. I hope you are having a fabulous week!! I need to catch up on Instagram to see what you ladies have been up to!